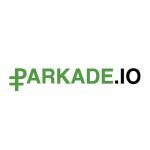 Parkade is airdropping 75 PRKC tokens to their community members. Complete the following steps to receive your tokens. Visit the Parkade website here. Tokens will be transferred after the ICO.